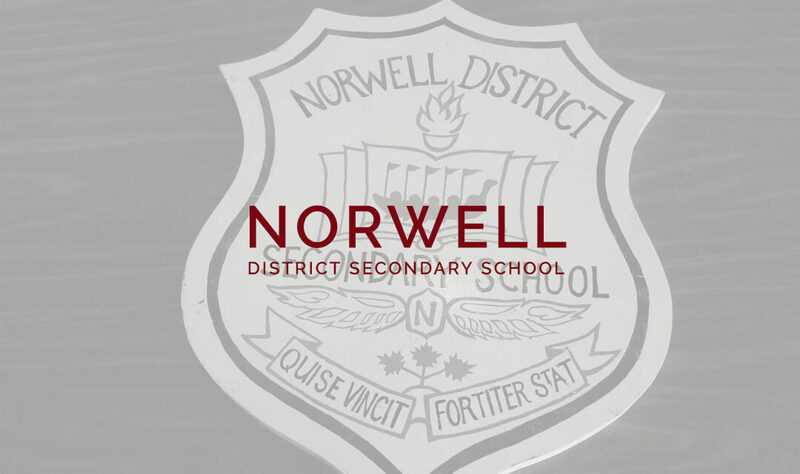 Norwell District Secondary School, formerly known as Palmerston High School and often simply called Norwell or NDSS, is a mid-sized composite high school located in Palmerston, Ontario. The school serves an area of approximately 500 km² including the communities of Palmerston, Harriston, Drayton, Clifford, Moorefield, Rothsay, and for French Immersion, students from more distant towns such as Mount Forest. Most students (over 90%) are bused in. 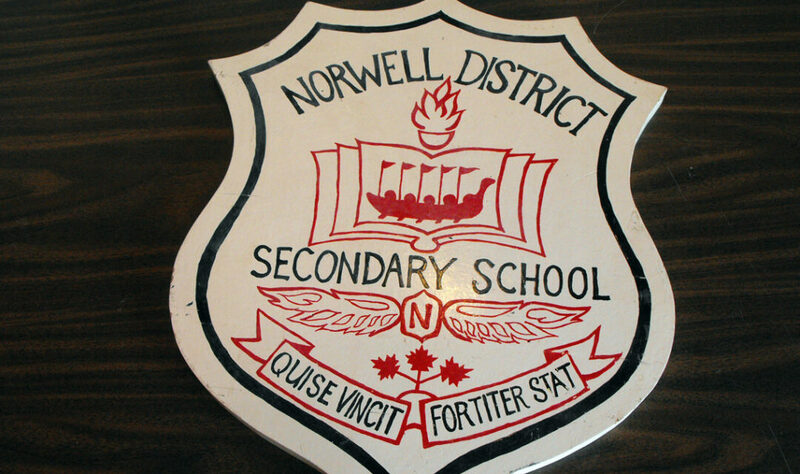 Norwell District Secondary School hosted its 75th Anniversary Reunion from May 8 – 10, 2015. 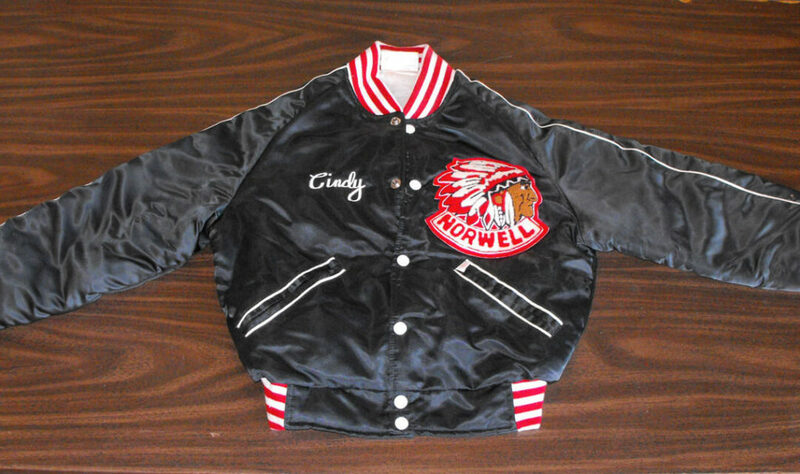 Norwell District Secondary School’s athletic teams, known as the Redmen, include badminton, basketball, cross country running, field hockey, ice hockey, rugby, soccer, track and field, and volleyball. The school hosts tournaments in ice hockey and volleyball, sports in which the school is competitive. While the school’s mascot was once a Native American, with a logo identical to that used by the Chicago Blackhawks, the school opted to change their mascot but to keep the “Redmen” name. 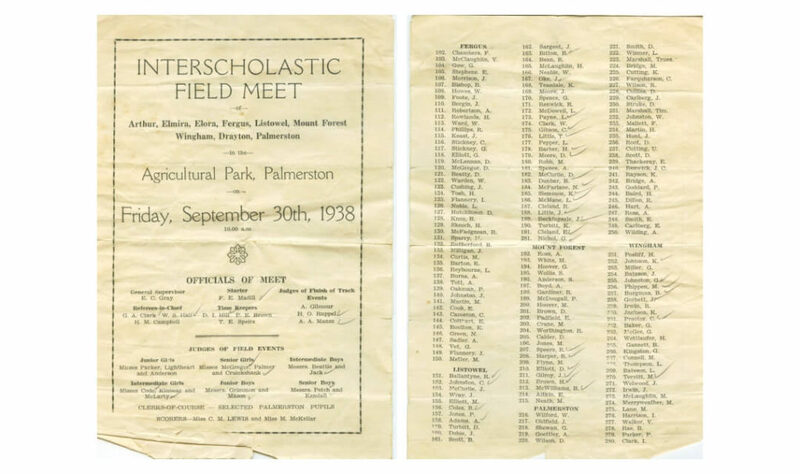 The summer of 2009, the Palmerston Railway Heritage Museum acquired a few more items from Norwell District Secondary School. These items were found discarded in an old room of the high school, and it seemed fitting to have them donated to the museum. 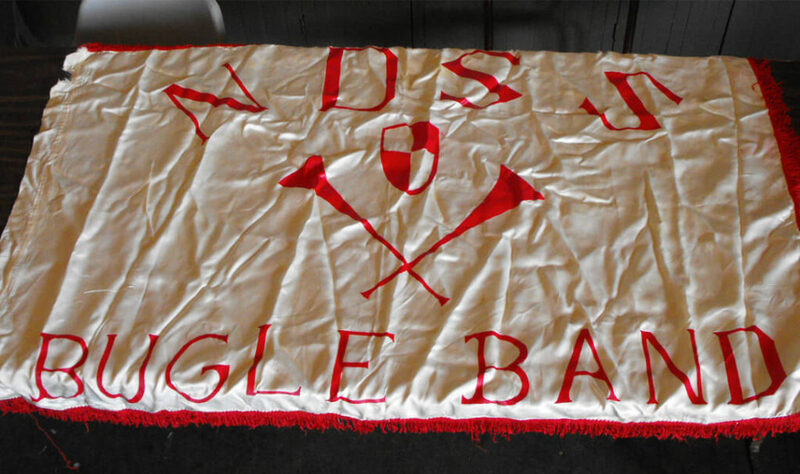 Below are some pictures of the items, which include a Bugle band flag, a band jacket, and painted wooden replica of the school’s crest. 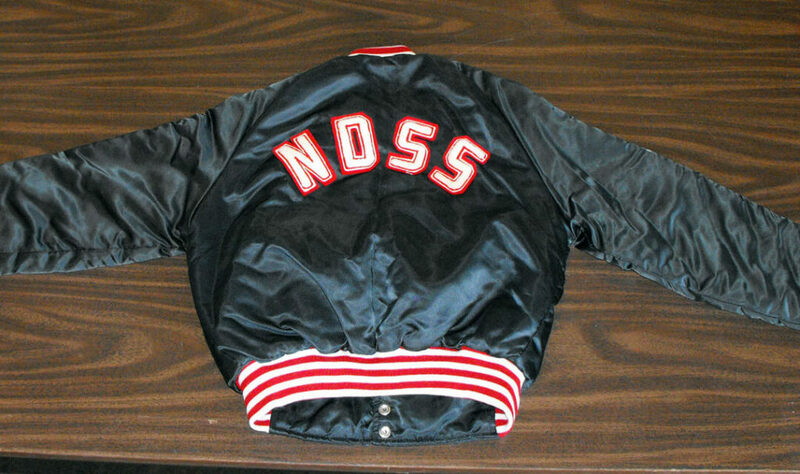 The back of the jacket has the NDSS initials of the school, while the front has the name “Cindy” and the original Redmen Crest. The school back in 1938 was called the Palmerston Continuation school. The following pamphlet is the list of the student athletes that day from neighbouring schools.